What String Band Song to Jam? Home › Wheels › Music › What String Band Song to Jam? String musicians have gathered, ready to play, but what? 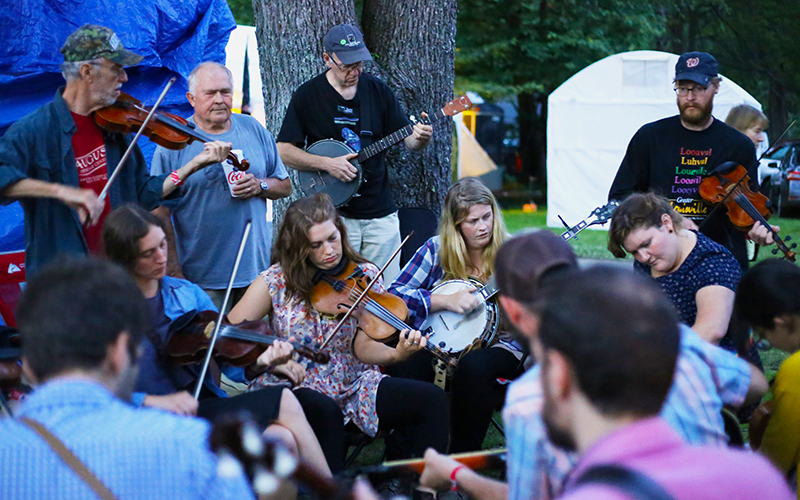 Keep the music flowing by spinning these wheels—adopted from a list compiled by Henry The Fiddler with additions from old time fiddlers and banjo players at the Appalachian String Band Music Festival (Clifftop, WV). Mix up your jam session there, at Autumn Leaves Festival (Mt. Airy, NC), or the Old Fiddler’s Convention (Galax, VA).